On the Thursday of Super Bowl week in Atlanta, both Wilson and Murray visited the set of PFT Live. Neither is tall, but Wilson has an overall bulk that Murray simply doesn't. When seeing both of them in person only a couple of hours apart, it's a jarring difference. Murray is thin and slight. He's small. He looks young, too young to play college football much less pro football. 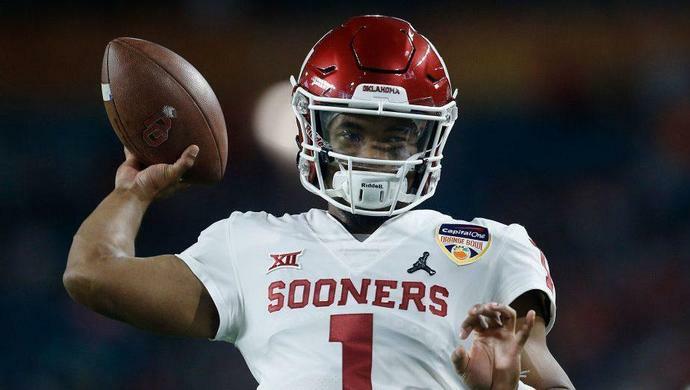 While he may be sufficiently elusive and durable to survive an NFL pounding, it's a concern that will need to be resolved by teams considering him in the draft. Wilson increased his muscle mass after entering the NFL, and Murray could do the same. However, Murray's frame could limit how much he can add without otherwise affecting his abilities. Obviously, my opinion on this doesn't mean anything. (Does acknowledging it make it any better?) But scouts, coaches, executives, etc. will notice the overall size difference between Murray and other quarterbacks, and they'll have to resolve that issue before making a final decision on whether to draft him and, if so, in which round. Then there's the question of whether Murray will fold under questioning. While he handled his PFT Live interview well, he had an awkward moment the next day with Dan Patrick. Teams will want to test his supposed commitment to football; what he says will be as important as how he says it.